This week, I've started planning which gifts to give family and friends for Christmas. I like to plan ahead and get it over and done with so that I miss the crowds of Christmas shoppers on the hectic last few weekends before the big day. 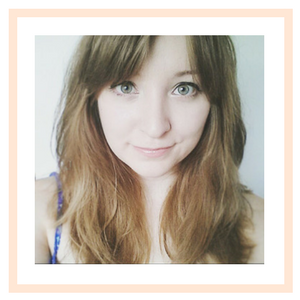 Over the past year, Mum's been sneaking into my room to trying out different beauty products. She's not one to splash out on them herself though and she certainly doesn't coo over the skincare aisle in Boots as much as I do. However, her covert attempts at dipping into my skincare stash have given me a few gift ideas. It also turns out that her Christmas came a little early, as she was asked to try out some products from Green People's new Age Defy+ range*. Age Defy+ is targeted at women over 35 and promises to firm and brighten the skin. The key active ingredients in the range are sea holly stem cells, argan seed extract and baicalin. All three work together to ensure that skin is hydrated, firmed and it's elasticity is improved. So how did Mum get on with the products? After using them for two weeks, I've noticed that her skin looks plump and fresh. Her favourite was the 24 Hour Brightening*moisturiser. This works by using pineapple and bamboo stem extracts to help lift away and release dead skin cells. She really likes that all three are non-greasy and keep her skin hydrated throughout the day. I know that this range is a winner as all three are still out in pride of place on Mum's bedside table. Most items get put in a drawer and are forgotten about after a few uses! 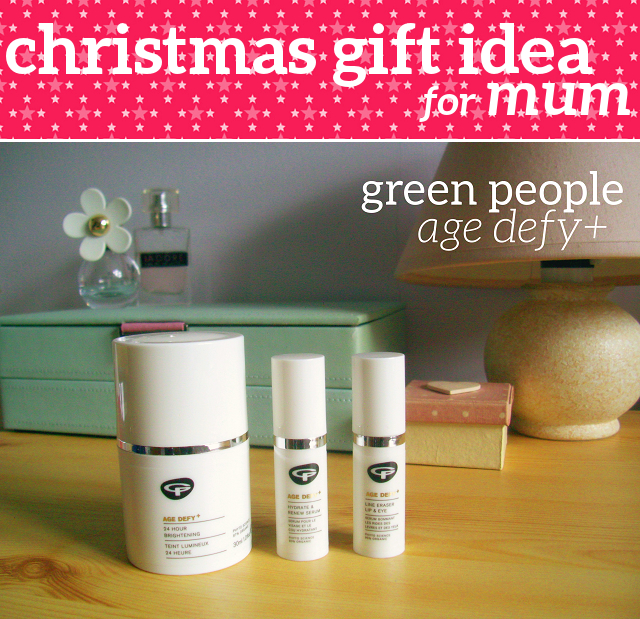 Green People even do stocking-sized 'try me' versions if you've been tempted to treat your mum this Christmas! Good tips! I'm thinking about doing a similar feature, you can never have enough gift ideas for people in the run up to Christmas.